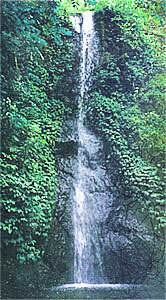 Toya Marto waterfall is located in Ngebel district, about 35 km from the centre of the city. The waterfall was stratified, very good. It is accordance for anyone who liked the adventure. It need hard efforts to head towards this location because the route was difficult. But it can bring a different experience for the adventurer. They can feel the real nature in this location with its fresh air and clear water. Come here and enjoy its natural situation that surrounded by many trees and birds voices.